Pablo Beimler speaks to church members about importance of preparing early for wildfires. 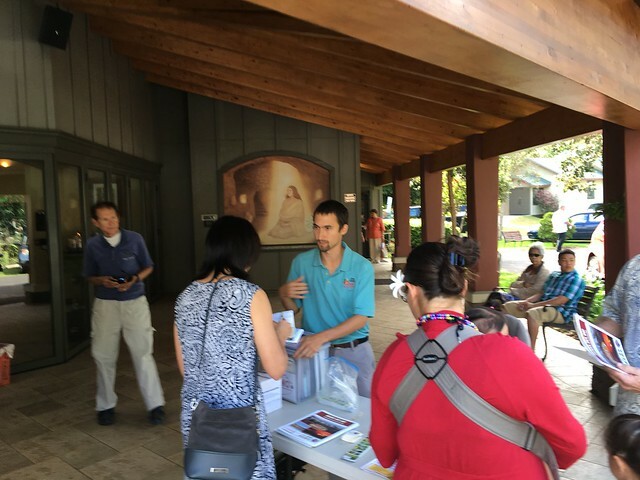 Wildfire Preparedness Month lasts all of May, so to keep spreading the message of wildfire prep, HWMO’s Pablo Beimler visited the Sunday services for Waimea Annunciation Church and Puako Ascension Church on the morning of May 8th. Pablo spoke briefly to the large gatherings of devoted Catholics to share the importance of preparing early for wildfires and to keep an eye out for the launch of the new Wildfire & Drought Look Out! campaign. The theme of the sermon led by Father Steve, a member of the HWMO Fundraising Committee, was about the importance of building community as a foundation for one's livelihood, something we could not agree more on. Mahalo for your help! You can also donate on our secure webpage.